How can a woman discover she has Parkinson's whilst opening a condom in front of 15 teenagers? Why would a man who suffers from Parkinson s suddenly start singing in the middle of a street? Why would a woman hide in a bush? 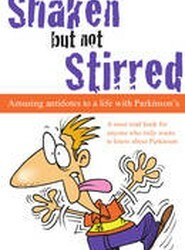 A revealing and amusing book of short stories for everybody touched by Parkinson's. Unique, hilarious and insightful.